VMware CEO Pat Gelsinger kicked off the VMworld 2014 conference in San Francisco on Monday by stating that the IT world needs to be “fluid, instant, and support choice,” and then proceeded to unveil a barrage of new virtualization, hybrid cloud, and converged IT products and services. In addition to new offerings like VMware EVO:RAIL and VMware vRealize Air Automation, existing services and products like VMware vCloud Hybrid Service (vCHS) and vCloud Automation Center have been renamed and/or rebranded. There was a lot of information to digest, so I’ll get to sorting all of that out shortly. 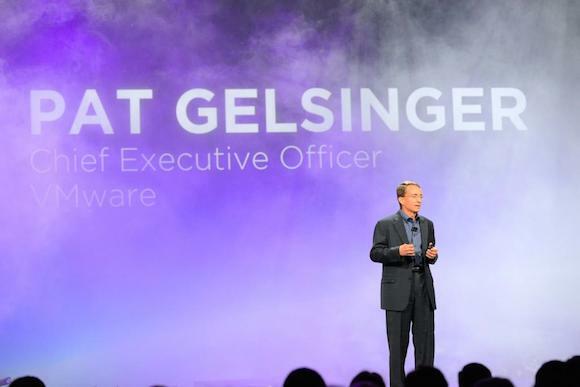 VMware CMO Robin Matlock actually opened the event before Gelsinger took the stage, and touted some robust VMworld 2014 attendance figures, with Matlock stating than more than 22,000 attendees from 85 countries were present at the show. The VMworld opening keynote was roughly 90 minutes long, and you can watch it in its entirety if you’re so inclined. We’ll be covering all of the products and services announced at VMworld in more detail in the coming weeks and months here on the Petri IT Knowledgebase, but for now I’ll touch on the biggest new products, upgrades, and branding changes, starting with the new VMware EVO: RAIL and EVO: RACK hyper-converged infrastructure appliance (HCIA) products. One of the hottest trends in IT these days is the concept of “converged infrastructure.” In essence, converged infrastructure describes integrated IT solutions that provide computer, networking, and storage in one self-contained unit. Converged infrastructure promises ease of management and efficiency, and IT staff can focus on managing systems rather than individual components. Prime examples of existing converged infrastructure offerings would be the Cisco Unified Computing System (Cisco UCS) and the VCE VBlock. Taking that idea a step further is the idea of a hyper-converged infrastructure. At the risk of over-generalizing, the hyper-converged infrastructure movement involves even more integration between computer, networking, and storage, and relies upon less-expensive computing hardware — along with flash storage and sophisticated software management — to reduce the cost and expense of traditional converged storage, which tends to rely on expensive traditional hardware-based SAN storage technology. The hyper-converged movement has been led by companies like Nutanix, Scale Computing, and Simplivity. The arrival of VMware’s VSAN validated this approach, and that led to VMware working on Project Marvin, which eventually became VMware EVO: RAIL, which was announced this week at VMworld. With a name inspired by the ‘evolution’ of the data center and the rail mount of a datacenter rack, EVO:RAIL is a modular, hyper-converged Infrastructure Appliance (HCIA) that VMware is selling in conjunction with partners like Dell, EMC, Fujitsu, Inspur, NetOne, and SuperMicro. Gelsinger and other VMware execs were quick to point out that VMware isn’t getting in the hardware business, but it is working closely with the aforementioned partners. VMware is keen to refer to the EVO: RAIL appliance as a “SDDC in a box,” as it is based 100% on VMware software, including vSphere, vCenter Server, and VMware VSAN. Gelsinger mentioned that EVO: RAIL would be offered by hardware partners as a single product with integrated support and services. According to a blog post by VMware Chief Technologist Duncan Epping, VMware EVO: RAIL customers can begin with one appliance of four nodes, and can then scale that out to four appliances for a total of 16 nodes. With four appliances, you could conceivably support 400 virtual machines or 1000 virtual desktops, all in a single cluster and running off one SAN. VMware says that one EVO:RAIL appliance can support up to 100 general purpose virtual machines and or 250 virtual desktop virtual machines. Aimed at mid- to large enterprises, EVO: RAIL also seems ideally suited for brand offices and other remote office locations that have a need for IT services but don’t have the needed IT support staff on site to manage disparate virtualization resources. 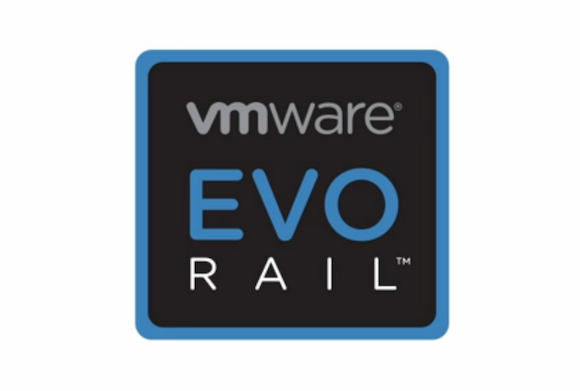 But VMware’s hyper-converged infrastructure ambitions don’t stop at four EVO: RAIL appliances. While not available yet, VMware is offering a tech preview of EVO: RACK, an expansion of the EVO: RAIL concept into entire data centers. VMware vCloud Suite 5.8 – This updated version of VMware’s on-premise private cloud suite now included enhanced interoperability with VMware NSX, improved disaster recovery and business continuity features, and new functionality that should make it easier to provision IT resources based on pre-defined policies. 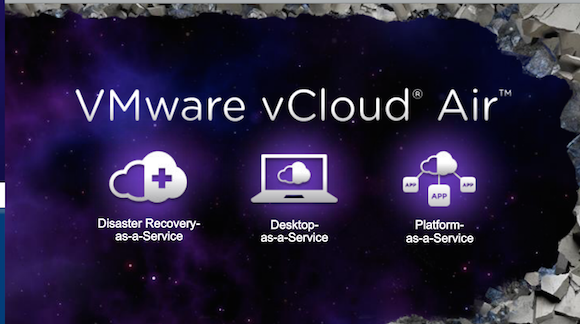 VMware vCloud Suite 5.8 should be available in Q3 2014. VMware NSX 6.1 – VMware’s network virtualization and security offering gets an update that includes improved integration with hybrid clouds and VMware vCloud Automation Center 6.1, support for equal cost multi-path (ECMP) routing, and new network micro-segmentation capabilities. VMware NSX 6.1 should be available in Q3 2014. VMware vRealize Suite – A combination of rebranded existing products and new ones, the vRealize Suite is a new umbrella brand for VMware’s hybrid and heterogenous automation and management products. VMware vRealize Suite should be available in Q3 2014. VMware vRealize Air Automation – An entirely new SaaS product now in beta form, vRealize Air Automation is a subscription-based cloud service that will allow VMware administrators to automate and maintain compliance of application and infrastructure IT services. You can sign up for the vRealize Air Automation beta now. VMware vCloud Air – In another branding change announced before VMworld 2014, the VMware vCloud Hybrid Service (vCHS) — often referred to by VMware administrators as “vee-cheese” — has been renamed to VMware vCloud Air. 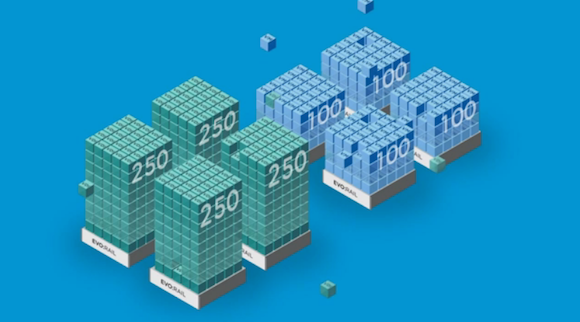 VMware customers who want a VMware-branded hybrid cloud solution can opt for vCloud Air, while customers who might have industry or region-specific hosting needs can opt for a VMware partner in the VMware vCloud Air Network, which consists of of more than 3,800 VMware partners in more than 100 countries. Two of the other biggest bits of news out of VMworld were VMware’s decision to embrace OpenStack and to also partner with Docker. Both partnerships are important, but I’ll touch on the OpenStack news first. OpenStack is a free open source cloud project that has arguably been a threat to competing visions of a cloud-centric IT, from Amazon, to Microsoft Azure, and VMware vCloud. Rather than fighting OpenStack, VMware has opted for an arguably wiser approach and has embraced the OpenStack movement. VMware’s variant of OpenStack goes by the name of VMware Integrated OpenStack (VIOS), and will allow VMware administrators to use their VMware cloud management tools to manage OpenStack environments. VIOS is currently in beta form, but its existence is a sign that VMware felt it made more sense to embrace and integrate with OpenStack rather than to fight it. Arguably the bigger partnership news concerns VMware’s partnership with red-hot container technology startup Docker, which has gone from obscurity to an enterprise IT tech darling in less than 18 months. Docker announced via blog post three primary areas where they plan to collaborate, including: Working with VMware to ensure that “…the Docker Engine runs as a first-class citizen’ on VMware products; working together on core Docker interoperability technologies (like libcontainer and libswarm); and working on adding enhanced Docker support to VMware management tools like VMware vCenter Server, VMware vCloud Air, and the VMware vCloud Automation Center. So are you attending VMworld 2014 this year? If so, please drop me an email with what you think of the show, or you can also contact me on Twitter or Google+. You can also catch up on my posts in the Petri IT Knowledgebase forums.